12, 16, 20, and 24 oz. 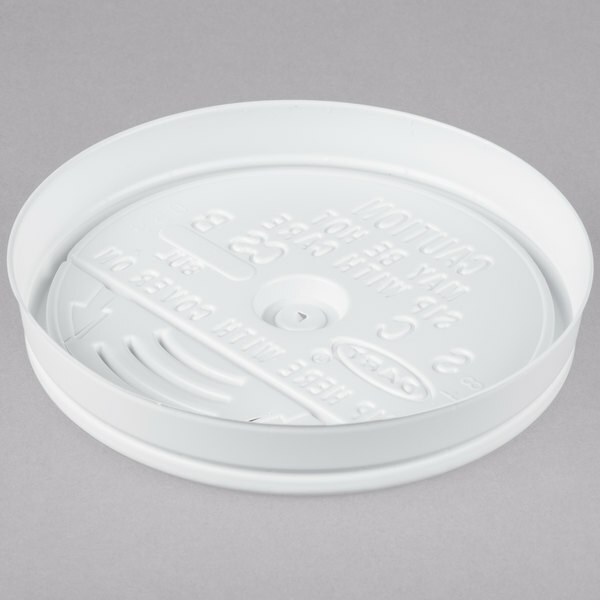 This Dart 8UL white plastic lid has a sip thru area, so there's no tearing or pulling and reduces the chance of drips and spills. Allows easy sipping of soft drinks, coffee, tea, or juice. 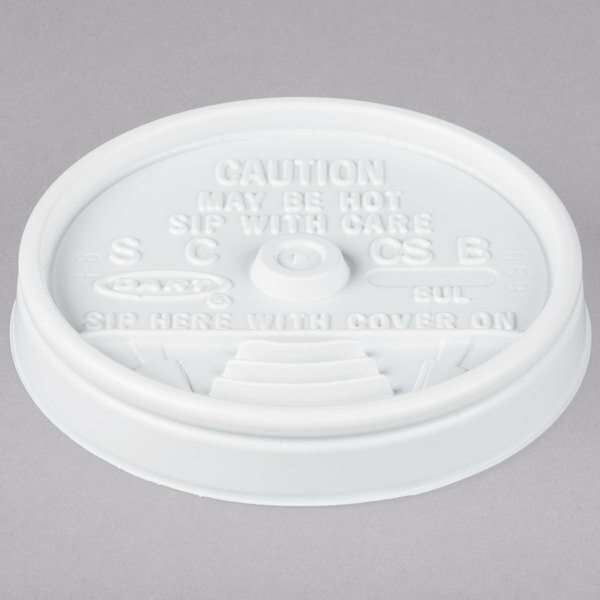 Plus, its tight seal maintains the temperature of hot and cold beverages, allowing you customers to take their favorite drinks on the go. 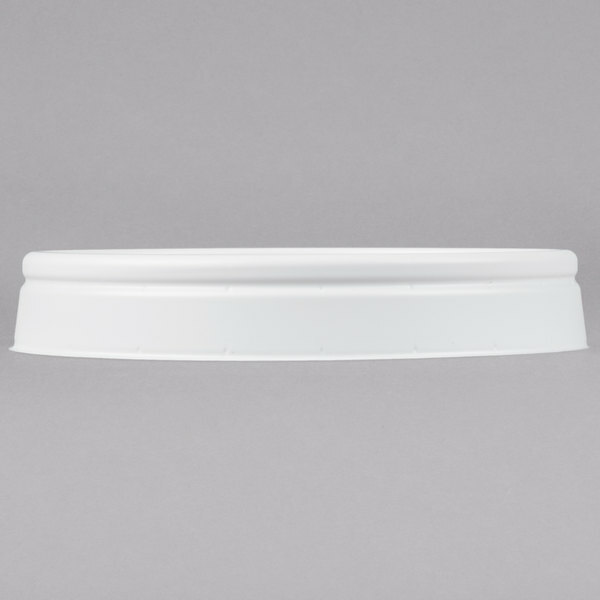 Give your customers the service they deserve while helping to save your cost-conscious business money with this Dart lid! 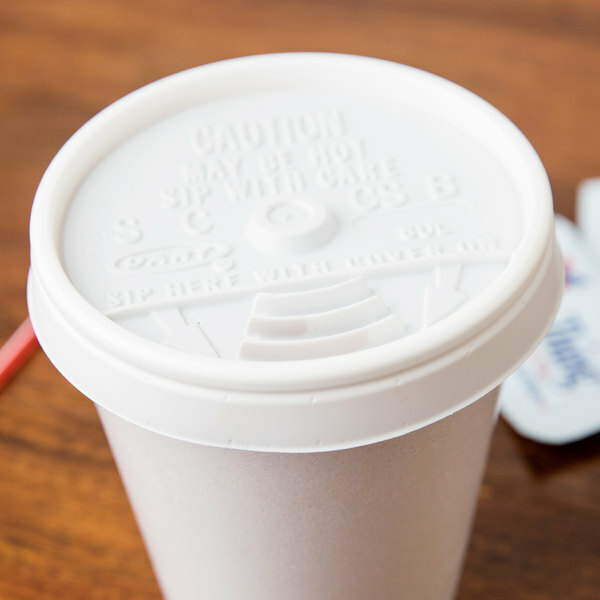 These dart lids are ideal for 8 oz foam cups and have a nice sip through tab. 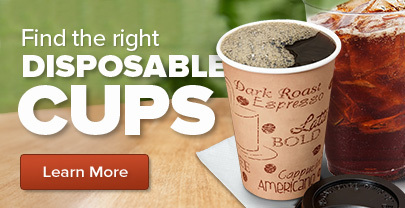 Great for coffee or soda and are an economical choice. Great product. It's pretty simple, it does what it says. They fit on tight and we've never had a problem with them falling off. 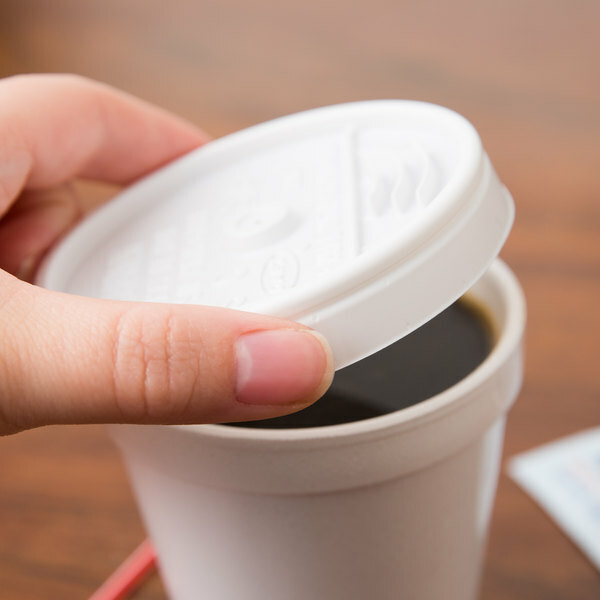 It's a great addition to your cups, to help avoid spillage.